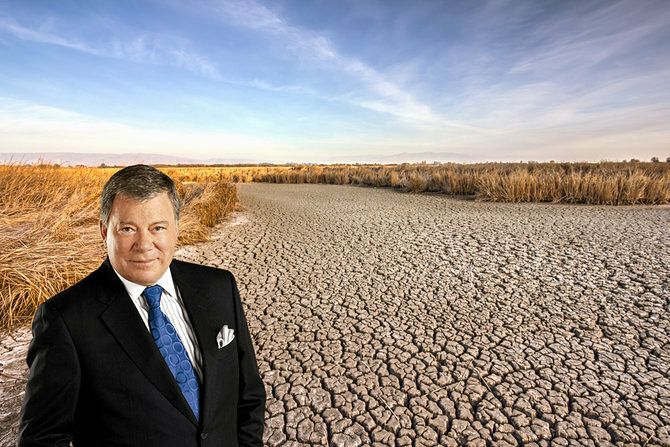 A few weeks ago, William Shatner (a.k.a., Captain Kirk of Star Trek fame) offered a solution to California's drought: move water from the water-rich Pacific Northwest down to California. He even began a kickstarter campaign to raise the 30 billion dollars necessary to build the pipeline. Shatner is not the first to suggest that California might raid Pacific Northwest water supplies to help irrigate the Central Valley of California or supply the huge population centers of southern CA. Such plans were never feasible: the projects would be too expensive and the water far more costly than other approaches (like desalination). 24th century thinking in the 21st century, perhaps. But maybe Shatner was on to something, but simply got the idea reversed. Why move Northwest water to California when you could move California agriculture to the Northwest? Romulan insanity? A Borg deception? A ridiculous offer to Shatner's Priceline? As Mr. Spock would say, it is highly logical. California is an arid region with a large population and an immense agriculture. Too many people and too much agriculture for even the current climate. And it will get only worse as global warming increases temperature (more evaporation), reduces snowpack over the mountains, and lessens precipitation over the southern portion of the state (or so our climate models tell us). Summer temperatures will increase so much that some areas may become too warm for their current crops. 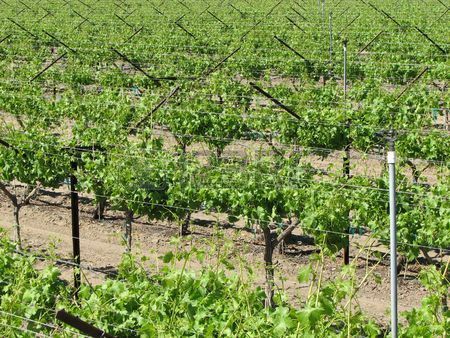 California needs to DECREASE its water-intensive agriculture, including a switch to less water-hungry crops. Less almonds, for example. In contrast, the situation if very different in the Pacific Northwest. Global warming will reduce our snowpack but will modestly INCREASE our total precipitation. You read that correctly. We will have the same or MORE water. Our growing season will lengthen as temperatures warm, allowing increased agricultural productivity. We also have lots of land in eastern Washington that is fertile, but unirrigated. What does this situation imply for the Pacific Northwest? Agricultural OPPORTUNITY. But we have a problem. Most our precipitation falls in the winter season (we have a Mediterranean climate, believe it or not) and agriculture here is mainly a warm-season affair. Traditionally, much of our summer water supply is derived from melting snow, but global warming will cause more of our precipitation to fall as rain. So with less snowpack, summer water supplies could be reduced. But we can fix this problem in two ways: (1) create more reservoir capacity, and (2) use our water more efficiently. Imagine if we greatly increased our reservoir storage, storing more of the bountiful winter rains that will occur in the future. 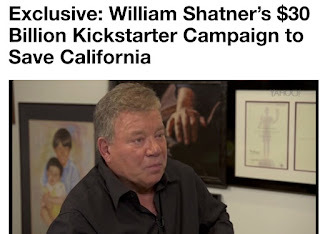 This will cost far less than Shatner's pipeline. Use the stored water to massively increase agriculture in the Northwest (including BC). In short, instead of moving NW water to California for THEIR agriculture, keep the water here and radically expand OUR agriculture. 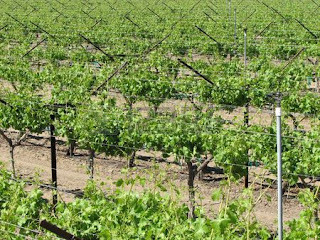 California could then decrease their acreage in many crops (e.g., grapes). In other words, MOVE California agriculture to our region, rather than moving our water to California. It really makes sense. And wait...there is more. We could increase our renewable energy capabilities at the same time by getting hydropower out some of the reservoirs as the water is released. And the water could be used to maintain streamflow and improve fish survival in our rivers and streams. But before increasing reservoir capacity other steps must be taken. First, we must stop wasting water. Increased use of drip irrigation, better water distribution, less waste around the farms, and better water delivery are important. I can't tell you how many times I have driven around eastern Washington, seeing farmers spray water during the heat of the day and strong winds. The loss due to evaporation would be huge. Particularly during the afternoon when the winds are blowing strong. The crop mix may need to be altered to reduce acreage of crops that require huge amounts of water, particularly those of less economic value. For example, less water for thirsty alfalfa for export to Asia. Second, the crazy system of senior and junior water rights must be scrapped. Right now, we have folks with senior rights that are essentially guaranteed water, allowing (encouraging) them to waste some it. In contrast, junior rights folks, some of which are growing more valuable crops, face cut off (like this year). Water is a communal resource, much of which was made available by huge public investments. An annual water bidding system, where folks would compete for the limited resource, would ensure a more rational distribution of water and that water is not wasted on low-value crops. But after we have optimized our use of the current water supplies, we will probably need to increase the supply, particularly if we are to displace some of California's agriculture. To do so will require increased reservoir capacity. Some plans to do so have already been drawn up for the Yakima systems by a group of farmers, government representatives and environmental groups: The Yakima Basin Integrated Plan. Adaptation to climate change is one of the great challenges of the next century. If I were the Governor I would start with two things: (1) invest in the research to solidify our estimates of the impacts of climate change on our state, and (2) establish a bipartisan State Climate Adaptation Board that would recommend actions needed to increase our state's resilience to global warming and natural climate variability. The ideas presented in this blog reflect the need to deal with natural variability and to adapt to climate change. This year is giving us a taste of the future impact of global warming (even though the cause was natural). No wonder a former starship captain is thinking about it. Announcement: On June 3, I will be on the Seattle Channel's Civic Cocktail with Governor Inslee. If you would like to be in the audience, you can get tickets at: http://www.seattlechannel.org/CivicCocktail. They charge, but you get appetizers with their no-host bar. Once again, Cliff tosses a sizzling grenade into the stereotyped climate debate. This "editorial" is so extreme in its views that we could easily dismiss it as demagoguery. We will be fools if we do so. Send copies to the Governor and you legislator until they take notice. Driving to Washington via Nevada, Idaho, Oregon and Eastern Washington, I wondered why there was not more agriculture in Washington State. I suspect there will be sooner rather than later. Who do I email / vote for to make this argument heard ? Also what can I invest in to ride the potential wave of agricultural profit in the PNW ? Already happening in the vineyard industry. CA is here. 1) Reservoirs - These require dams, and if anything the West is moving the other direction, i.e. tearing dams down, not building new ones. A solution would be storing water in the E Washington basalt aquifers until it is needed. This would require a lot of pipeline and pumping infrastructure (and energy) to move water around. Take a look sometime at how much money CA spends on this, and how much power it consumes. Tons. 2) The bidding system - Nice idea, but I don't think it is fair to have farmers spend huge money to plant orchard trees without some amount of senior water rights. Unlike other crops, if trees can die in lean years, the farmer loses its entire investment (which includes many years of non-production while the trees grow). No one in their right mind would put capital into orchards if there is an annual bidding system for water rights. Cliff Mass as Governor? Hmmm...not as absurd as it sounds. Dixy Lee Ray was a science celebrity with no prior experience at political office. Washington State is a funny place and you would seem to have your finger on the public pulse as much as any other current political figures. The bigger picture issue is the inherent flaws that come with centralized agricultural production. Regardless of what or where produce is grown, putting all the eggs in one basket (lets us almonds as a bad example) subjects any given crop to the vagaries of the environment. 80% of the worlds almonds are grown in California. Yes the drought is impacting that, however so are a plethora of other issues including disease potentials. De-centralized agricultural production may initially sound naïve, but it will provide more resiliency and ability to respond to unique events be they long term changes or one-offs. Avian flu and its impact on the US poultry industry is another great example. Very much (forgive the bad pun) as case where way too many eggs are in one basket. But what do I know? What we should not do is continue the huge public subsidy known as the Yakima Basin Integrated plan. Reservoirs should not be expanded at the expense of taxpayers and the environment (Bumping Lake old-growth forest). But everyone eats! Family Farmers toil honestly for your children's food! It is a business, increasingly controlled by large corporations seeking public subsidies. Make them pay market rates for their water and we'll pay market rates for our food, like we already do. How about just moving to a sustainable economic model that does not entail growing almonds for the world, or even wine, for that matter. Let's start thinking about stewarding the resources that we have been given, consider returning to a time when we get our fruit in season and not every day of the year, and stop trying to find ways to continually expand or even maintain the kind of exploitation that is poisoning our world. Cliff, dial it down a few notches. Captain Kirk is a nut. Don't invite more nuts up here; we have enough of them, already. I disagree with a the idea of a "state climate adaptation board." This will instantly become a "progressive" loony bin full of the usual cronies, picked behind closed doors. Government in WA State is corrupt and dishonest. They have too much power and money already. This is so funny. I grew up in the NW and remember my Dad telling me about how the Skagit Valley used to feed the West Coast, before the Central Valley was created. And I have been preaching this very same idea, to anyone who will listen. Great minds think alike. The Good: yes, we do need to change age-old water laws that encourage water waste. The Bad and the Ugly: favoring expanding reservoirs without acknowledging these have significant environmental, social, and taxpayer cost. No dam currently proposed in Washington returns more than 40 cents on the dollar under any climate scenario, that's a fact. Very interesting, Cliff, and I think you are on to something - partly. No doubt there is scope to start diversifying and expanding the crop base in Washington state beyond the rather limited menu of things we are now growing. But let's not forget that winters are far more severe in Washington, especially east of the Cascades, than in most parts of California. California's climate is not going to be moving up here, and we are never going to be able to match the array of crops they can grow there. The part of the picture where I think you may be missing something is your call for expanding reservoirs in the Yakima basin. All the good sites are already taken. There are very good reasons that Bumping Lake has never been expanded beyond what is now there. Its drainage basin is not very big and it sits in Rainier's rainshadow. An expanded reservoir there would not reliably fill, and if it did, it would only be during very wet years when the water would not be needed. Please allow me to suggest that the existing supplies of water could go much, much further than they now do, both here and in California. Vast amounts of water are wasted, both here and there - evidenced by the photo you chose, of a wildly inefficient giant sprinkler. How about taking a look at how much more value they get per unit of water in somewhere like Israel? Compared to them we are horribly wasteful. But why should farmers be careful with water they get practically for free? 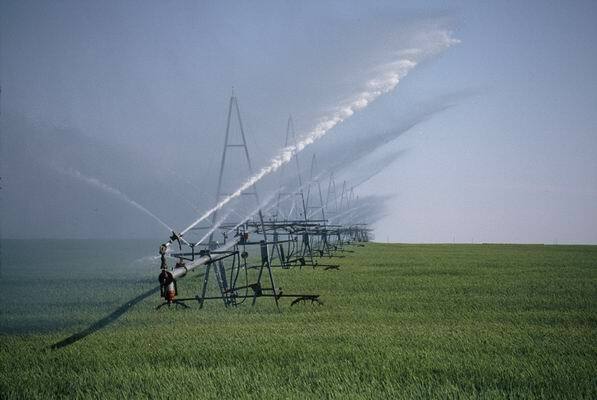 There is huge scope for efficiency improvements in agricultural irrigation. If California implemented just a few of them, they could make their water go much further. I don't think we are going to see the end of agriculture in California anytime soon. At some point they will stop being obstinate and make the efficiency improvements they need. Their behavior would change very quickly if they had to pay for the water they use. Something else to consider is the long term viability of irrigation wherever it is used. Even "fresh" water has small amounts of salt, and these build up in irrigated ground since there is seldom enough water applied to flush them through. California has already lost substantial acreages this way, you can see the salt encrusted fields from I-5 in the southern end of the Central Valley. The Soviets ruined vast acreages in Central Asia in the space of just a few decades by growing cotton in the deserts there. Some people say that only in places like Egypt's Nile valley has irrigation ever really be sustained in the very long term. I guess we, or our descendants, will see. We may regret paving over the Kent valley. Let's hope the Skagit avoids the same fate. How about moving some of the farming to Western Washington instead of putting up housing developments from Puget sound to the foothills? Put non-farming industrial development out in Eastern Washington, where there is a lot of space, along with the attendant McMansions and townhouses. Cliff, you make some good points when you talk about improving crop mix, using better water conservation techniques for irrigation and opening up a better marketplace for buying and selling water. And you are absolutely right that these things need to happen *before* adding additional storage (especially the particularly costly and low long-term benefits of storage in locations such as Bumping Lake and Lake Kachess). Consider, too, the impact of ditching the admittedly arcane system of junior and senior water rights would have on our native tribes, whose water rights are the most senior. Would you move them to the back of the bus again? 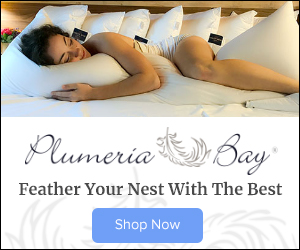 There are reasons why both the largest environmental group in the country, the Sierra Club, and a non-profit group representing Yakima Valley irrigators, the Yakima Basin Storage Alliance, both oppose the Yakima River Basin Water Enhancement Project. Read their own Draft Environmental Impact Statements and the responses to them. The plan has far more damaging impacts to native wildlife that are being acknowledged by the team, is, as others have noted above, not cost effective, no matter what voodoo economics is thrown up about how it must be viewed in aggregate and not by the individual pieces, and it is not supplied by a watershed that can renew itself in realistic timelines in the case of a multi-year drought. You are a scientist, Professor Mass, please look under the glossy PowerPoints a bit before falling in behind the YRBWEP. It's very amusing to read comments about drought and agriculture from the "progressives" of Seattle, who know next to nothing about either subject but never let that get in the way of giving their uneducated opinions. In the case of agriculture, the calls for more efficient agriculture both here and in California ignore the fact that drip irrigation -- the holy grail for "progressives" who cxan't even successfully grow a tomato -- has expanded from 15% of the total in CA in 1990 to nearly 40% today. Another typical "progressive" complaint is against the horror of the Nestle Corp.'s bottling of groundwater. In California, all the bottlers take no more than a billion gallons a year, which is 1/13,500th of the water -- 0.007% of the state's total consumption. The state's outdoor marijuana crop uses about 140 times as much water, but the "progressives" never demand an end to marijuana cultivation. Then there is the waste of water by urban distribution systems -- at least 20%. "Progressives" never discuss it. Nor do they mention the consumption of water by pets, which is approximately the same as for marijuana cultivation for California's dogs (36 million) alone. And finally, the "progressives" seem to think that if they repeat a lie often enough, it'll become true. This is not California's worst drought. The droughts of 1977 and 1924 were worse, and the droughts of 1931, 1934, and the 1987-1992 dry spell were roughly similar to this year's drought. It's much more fun to engage in alarmism and crisis mongering than to study facts and make sensible proposals. Dr. Mass would do well to peruse the analysis of the Yakima Integrated Plan published last December by the State of Washington Water Resource Center, at the behest of the State Legislature. WWRC finds that none of the storage options included in the Yakima Integrated Plan makes economic sense; e.g., a new dam in the Bumping Basin returns a benefit/cost ratio of about 0.18. Furthermore the design capacity of the reservoir is roughly the same as the median inflow into its basin, so that in the second and subsequent years of an extended drought, its utility is severely limited. Basically, farmers with junior water rights in the Kittitas and lower Yakima Valleys are asking for $5 billion from state and federal coffers to provide them an insurance policy, at very little addition to their costs-- I guess if I were a California grower looking to move north I too would be tempted by that kind of corporate welfare. I suspect scrapping the system of junior and senior water rights won't happen for a long time if at all. Actually, the priority system itself isn't the problem, the problem is that our legislators have not addressed water rights effectively for quite some time. “The fundamental principles are sound: Beneficial use is the application of a reasonable quantity of water applied to a specific non-wasteful use.“ Surely our understanding has evolved regarding what a reasonable quantity is and what constitutes non-wasteful water use. These aspects could be redefined without throwing the entire system out – though it might sound as though it was – based on the expected outcry of some senior right holders. The legislature has so little stomach for enforcement of another fundamental principle that legislative bills to abolish it outright are not uncommon: “..water must be used during a specific period of time or the water right [or unused portion] is returned to the state through relinquishment.” It is this principle that gives flexibility to the system. If a senior right holder doesn't consistently use their full water right, or for that matter, uses it wastefully or unreasonably, then a portion may be relinquished. It would then be available for junior users. And many of the specific exemptions and recent reclassifications in state water law are bizarre and unreasonable to say the least. The Department of Ecology, charged with administering water rights, is often underfunded and frequently assailed whenever they attempt to limit water use in over-allocated basins. So the problem lies with our elected officials wanting only to be associated with the 'generous' side of water rights – like enhancing exemptions, fighting restrictions, and abolishing relinquishment. Quotes from Washington Water Law, A Primer https://fortress.wa.gov/ecy/publications/documents/98152.pdf emphasis and brackets mine. Love the drip irrigation concept. We have been wasting for years. Only when you need it does it make scenes. If gov't revokes water rights, that will be a "taking" for 5th amendment purposes. And it won't be cheap. I realize that Seattle "progressives" are happy to ignore the Constitution when they want to, but the federal courts won't. Well, shucks, what would us local yokels on the East side do if it weren't for you smart fellas on the other side of the mountains telling us what to do with our water and our land? California is a garden of eden, said the same man who called the Grand Coullee Dam 'the mightiest thing that man has ever done', but you know what, Cliff? it's already a story of the "dough re mi" out here. Perhaps you've heard of a little something called the Columbia Basin Irrigation Project? An excellent overview is available here: http://muse.jhu.edu/journals/yearbook_of_the_association_of_pacific_coast_geographers/v070/70.bloodworth.html, which begins with the awesome sentence: "In the Pacific Northwest, there appear to be two major religions: irrigation and salmon." The CBP started as a rather progressive idea, "thousands of small, family-owned, family–operated farms, dotting the verdant (irrigated) landscape of eastern Washington," but it hasn't exactly turned out that way. Instead there are a very small number of large corporate farmers getting a massive subsidy from the federal government to grow alfalfa for Japanese race horses (that is if they can actually get the stuff out of port). There is a reason it's operating at only two-thirds capacity. And now you want to give that other third away so that bleached-blonde corporate farmers from California can come up here to line their pockets on the tax subsidies while creating new ghettos of migrant workers out here in the desert? Well, shoot, roll on, Columbia, roll on. That's mighty big of you Cliff. Somebody will have to break the bad news to the few remaining sage grouse though. Here's a nice little quote from Bloodworth and White: "...when taxpayer money funds deficit spending in which the country at large holds the burden of investment, but a small group of private interests becomes a direct beneficiary, public water projects implicitly subsidize special interests at the expense of everyone else. Many see the CBP as a prime example of federal money subsidizing irrigators in the West by funding irrigation that would never be economically viable under other circumstances (Craig 1974; Infanger 1974; Reisner 1984; McCarl 1985; English 1990; Whittlesey 1995; Shepherd 2002)." So how about this, instead of you suggesting that this ole wasteland out here could use some improvement by way of importing California agriculture and California attitudes up into my backyard, why don't you consider what the locals (including the tribes and the various ESA listed species) might prefer. We want development, but sustainable, diverse development, not a huge corporate handout that puts the majority of the land in the hands of few at the expense of taxpayers and listed species. I love central Washington. I love that it's not Seattle or the Westside. I love that I can drive twenty minutes in any direction and be at trailhead. I love that I have the cheapest electricity in the country and faster internet than is available in Seattle. So how about instead of moving California out here, we move Amazon and Microsoft out here? How about we retain our small orchard landholders and our access to recreation but add in diverse mix of economic growth? Let's keep the water in the river, where thanks to improvements on Mid- and Lower-Columbia projects salmon are passing the reservoirs and dams with greater than 90% survival in most cases. Let's not give more land and more free water away to a select few corporate interests that are not giving anything back to the community. What is your opinion on how solar cycle strength affects global temperature and weather? Also, what do you have to say about the ~ 20-year pause in global temperatures actually rising, or the record breaking ice levels in Antarctica? Placeholder, you seem heavy on criticism and short on ideas. How about sharing some of your ideas and what you would do differently? Without having looked at the issue too closely, my concern is the amount of arable land left in the PNW. I know there are techniques to increase crop density, plus the development of factory farms in urban areas. Better water storage will open up more acreage. But still, I wonder how far that can take us. This would be happening during a time of continued (accelerating?) increases in population density, as people from hard-hit areas look for a safer place to settle. Mountain ranges are not the problem. Put the pipeline along the coast, or under the coast. The ocean is sea level from Seattle to San Diego. Besides that, moving California agriculture to Washington will upset a bunch of farmers in California. Professor Mass: I'm a farmer who writes a blog about farming in western washington. I'm going to give you an answer to your question, but you're probably not going to like it. "why not move the agriculture here?" Even if you do find a tract of land that is unused and unpaved, the department of ecology has been enforcing a rule that says that if the land is unused for 5 years and any wetland indicators have emerged during that time that the land is converted to wetland and can no longer be farmed. We have chosen to build our houses on farmland for the past 50 years; and arable land is precious and irreplaceable at any reasonable cost. Building your house on a level pasture makes for a pretty house. The return on agricultural land is so low that any use other than agriculture is preferred by the local politicians (read: bigger tax base) and you can see evidence in the conversion of flood-plain farmland in arlington into 'commercial' land recently, despite the opposition of local farmers and diking districts. So imagine that you have found a patch of land to farm, and you begin to farm. While there is quite a bit of local noise about local food, when you actually have to get down to the business of producing that food - cultivating and planting and weeding and fertilizing and harvesting - subdivisions, which border many farms in king and snohomish county - put up opposition to standard, accepted farming practices. Such as working long hours to fit into narrow weather windows, application of natural fertilizers (manure and manure tea) and the traffic and commotion associated with those activities. Dairy farms are a great fit for our long growing season for grass and our abundant water and good soil, but they have been regulated out of business; required manure lagoons and handling equipment, acreage requirements per cow and land prices that are out of sight for most farmers make this untenable. The department of ecology requires anyone trapping rainfall to get a permit, and this even applies to rain barrels. A farmer who created a resevoir to water crops or livestock would be sued and fined for doing so, even if the water was collected during the part of the year when we have excess. Drawing water from streams, lakes or other surface water source is forbidden for crops, and limited to 5,000 gallons for livestock. I love salmon, and I love the environment, but I don't love the state of washingtons rules related to agriculture, and I see those rules as being the primary impediment to having more food produced closer to our population centers. These rules are a primary source of friction between eastern and western washington politicians. It's not that milk and meat and vegetables aren't being produced and consumed. it's that we are exporting our mess to other states (like california) and are unwillling to have the production be here. In essense california is in such deep trouble because we are managing it as our farm, and western washington as our park. Everyone eats. If you don't like how a particular food is produced enough that you don't want it in your state, why should you export that to some other state? How many hours a week should I be required to spend to fend off people who are paid by the state? How many attorney hours should I have to purchase? As a farmer, it would be simpler to move to a state where agriculture is recognized and supported by the government. Many citizens like the idea of local food, and I sell a lot to those folks, and appreciate their business. I don't think that they, or you, professor Mass, know what goes into those local strawberries, or milk, or meat in addition to the hard work of farming itself. I agree with Prof. Mass about building more reservoirs. But I don't agree with the idea of yanking water rights because some people find them inconvenient. "Progressives" seem just as likely as "wingnuts" to want to trample upon individual rights when they find 'em inconvenient, and I oppose that. As far as being "constructive" goes, I think it's quite constructive to put limits on government's ability to be arbitrary, capricious, and unconstitutional. I also think that, in general, it's constructive to inform Seattle's "progressives" that their lack of knowledge is exceeded only by their arrogance. Beyond that, I am skeptical that there's a significant underlying problem. Therefore, while I agree with the concept of more reservoirs, I think it should be implemented only if and when evidence shows they are needed. 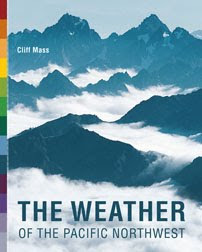 While I respect Prof. Mass's views on anthropogenic climate change, I am unconvinced. On the other hand, I do appreciate that Prof. Mass isn't a prototypical "progressive" nutcase who simply ignores data that doesn't conform to what amounts to (in my opinion) cultish fear-mongering. 2. Think about restricting the export of some of the more water-intensive crops. Israel did this with oranges, for instance. 3. Do the unthinkable for Seattle "progressives," and solicit the expert views of farmers. Not the expert views of the usual crowd of fake "environmentalists" who are a dime a dozen in Seattle, but rather the views of the farmers and ranchers who feed us. Oddly enough, these people might actually have something to say, as much as Seattle's "progressives" hate the idea of ever listening to anyone but themselves and their hive mind about anything. To Bruce King: Thank you for feeding us! The people who feed me are damn close to the top of my list. I am a life-long big city dweller, but have longstanding friendships, acquaintances, and family ties to farmers. The lack of appreciation for our farmers and ranchers just blows me away. It doesn't mean that they're always right -- no one is -- but the rampant dismissal and disrespect shown to our agricultural producers is a big problem. Not much I can do about it, but at least I'd like you to know that there are some people in the cities who do not suffer the illusion that their steak was born in a plastic tray. Beef is what's for dinner in my house, and I am enternally grateful to the ranchers who raise it, and to the farmers who grow my veggies. Thank you -- and from a city of Seattle resident, no less -- for your hard work, for your love of the land, and for all that great food. Looks like a lot of good comments. I am a fourth generation Yakima Valley Corn and wheat farmer that your plan would put out of business it doesn't get anymore low value than growing corn and wheat. In fact one of the highest value crops in the state right now are hops. Would that crop be the best use of our water? who would determine what crops are worthy of the water and who could grow them? The huge Eastern Washington dairy industry would not like your plan they rely on much of their feed especially corn silage to be produced locally but I guess there is always almond milk. Lastly while it looks like the large center pivot sprinkler systems are spraying water spraying means something totally different to a farmer and someone familiar with farming the correct term is sprinkling. I own two center pivots and during certain times of the year run them 24 hours a day even during hot weather not to waste water but to grow the best corn crop I possibly can because that's how I make my living. Dr. Mass proposes a plan for Eastern Washington that is much like what has already been tried in Eastern Oregon in the Klamath River Basin; perhaps the largest agricultural boondoggle in all of the USA (and that's saying a lot). I suggest that he read The Cadillac Desert by Mark Reisner (at the very least) before he jumps on the "build more dams" bandwagon. Bruce King fails to point out that much of the drained, diked and leveed farmland in the Snohomish River estuary has subsided to the point that it is no longer viable for agriculture. It hasn't been farmed for five years or more because it's too wet and too salty now, not because of any State regulation. Ultimately, farming former estuaries is unsustainable in the face of rising sea levels and, more importantly, due to the fact that repeated drainage oxidizes the sediments and causes massive subsidence. The land can't be drained anymore because it is at or below sea level. Of course Mr. King is of the opinion that his massively subsidized potato crop is more valuable than an estuary, which provides multiple ecosystem services in perpetuity, not just salmon habitat, it is his livelihood after all. But as others have realized, it is unsustainable and, when all externalities considered, unprofitable. I thought there were two inputs to the length of the growing season: temperature and light. And even if WA gets warmer, we still won't be able to grow many of the CA crops due to the short light growing season (Oct to Feb are just too dark). Of course Mr. King is of the opinion that his massively subsidized potato crop is more valuable than an estuary, which provides multiple ecosystem services in perpetuity, not just salmon habitat, it is his livelihood after all. But as others have realized, it is unsustainable and, when all externalities considered, unprofitable. His potato crop isn't even slightly subsidized. And when "externalities" get totaled up, the "progressives" consider only costs and not benefits. Not true at all Placeholder, not even slightly true. . Who do you think pays for the those dikes and levees which allow Mr. King to grow crops where they should't be growing (i.e., in an estuary). Take a look at the ACOE budget..the diking districts, the levee boards....all subsidizing agriculture. No need to "move" California agriculture here. Just start doing it MORE here. Eventually, if economics pay off, it will be cheaper and more feasible to do it here (Eastern or Western Washington). We don't have to get Captain Kirk's permission! How about the salmon subsidies? And you're going to tell us that only farms are protected by dikes and levees? Cliff, I have to laugh at your assertion that the weather we're having now (due to natural causes) is like the weather we'll be having in 2050, or some other future date, due to climate change. No, the weather/climate will be much worse in all respects in the future. There's been a steady increase in stored heat, most of it in the oceans, as a result of atmospheric CO2 accumulation. Increased heat does increased work: increased evaporation and intensifying atmospheric convection. The really scary thing about global warming is that the Arctic is warming faster than anywhere else on Earth, melting the permafrost and releasing methane, a much more powerful greenhouse gas. We may witness an exponential and unstoppable increase in global heating that will make Death Valley look like an oasis. Closer to home it's interesting to note that the total precipitation at the Stampede Pass weather station has been decreasing since 1972. That doesn't bode well for thoughts of damming the Bumping River to increase storage. There may be nothing to store in the future, despite the odd wet year or two. At the same time acquifers in eastern Washington are being depleted to the extent that surface water features are disappearing. So much for those senior water rights when there are so many straws at work. Just another tragedy of the commons. Has anyone measured the amount of water being lost by evaporation of the virtually free water being supplied by the Bureau of Reclamation to the irrigated farms in eastern Washington? Clearly the amount entering the soil must be excessive as well, given the "waste ways" and waterfalls from ground water due to irrigation. It seems as if the problems of the California Central Valley will be visited upon us relatively soon, despite the presence of the Columbia River whose water comes mostly from Canada, I've been told. Was the current drought in California predicted by any climate models? If not then why would one put much faith in climate models and if so why are the agencies and media acting like the drought was not anticipated? The really scary thing about global warming is that the Arctic is warming faster than anywhere else on Earth, melting the permafrost and releasing methane, a much more powerful greenhouse gas. Yes, and we all know that the earth has one pole. How do we know? Because so many Seattle "progressives" tell us! Has anyone measured the amount of water being lost by evaporation of the virtually free water being supplied by the Bureau of Reclamation to the irrigated farms in eastern Washington? What "seems" to you plus $3 will be a latte here in town. Or so it seems. The two polar regions are both experiencing warming - as is the rest of the world. The Antarctic Peninsula has experienced an increase in mean annual air temperatures of around 2.8 °C over the last 50 years making it one of the most rapidly warming regions in the Southern Hemisphere. That warming is one of the reasons the Antarctic glaciers are melting so rapidly. As Strix27 points out the Arctic's rate of warming (twice that of the global temp increase) is of major concern due to the potential release of large amounts of methane. It illustrates the gross inefficiency of water storage in large reservoirs:as the title of the graph names it, "more water evaporates from reservoirs than is consumed by humans," a trend that was established by the mid-20th century on the heels of large dam construction (70,000 dams built in the U.S. from 1900-1970). Evaporation off reservoirs in the Colorado Basin is now the second biggest consumer of water after agriculture there. It seems possible to me to that in a 20th century climate regime, this trouble with reservoir capacity may not have applied to Columbia Basin dams, at least for six months of the year, due to cooler winters. But more winters like the one we just had should be cause to reconsider the dam fix. I am aware of two new dams proposed in eastern Wa by the Yakima Integrated Project: Wymer and Bumping. Wymer is pumped storage in a side canyon above Yakima Canyon. It should come as no surprise to anyone who has driven between Ellensburg and Yakima that it would be located in desert. The current Bumping Dam, built around 1910, stores about 33 thousand acre feet, at the center of a remarkable and rare, low-elevation, old growth ecosystem that is treasured by people who know it. Its "non-use" value was ignored in the IP benefit/cost figures, but was addressed in the SWWRC assessment, who found the non-use value lost in the Bumping Basin to be significantly greater than the construction cost of the new dam. This is important because most (something like 4/5s) of the economic value of the IP comes from non-use value of sockeye salmon. The proposed replacement gains 157 kaf additional storage more by increasing area than height; i.e., much of the new pool would be quite shallow, with extensive mud flats for much of the summer. Where I write this, about 18 mi in a straight line from Bumping, the temperature now is 95 deg F. Allowing for the lapse rate, my guess for Bumping is 90 deg F. It's not western Washington. Perhaps a little more homework is advisable, before you invite more Ca agriculture here! See you next week at WRF. I don't see why there would be an issue moving agriculture to a place which is not fully utilised. Self storage for more units of wheat and other things up there would be cheaper too! The Wildfire Risk is Rising: How Bad Will it Be? When forecasts disagree, who do you trust?